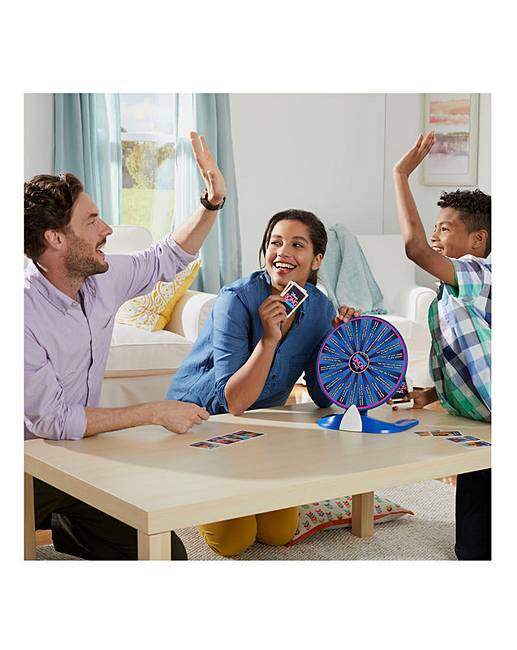 In Disney Song Challenge, a designated player flips over the top card of the deck, revealing the name of a Disney show. The first player who thinks they know a song from that movie or TV show jumps up and belts it out. Players have to sing enough of the song with the correct lyrics to earn the card. 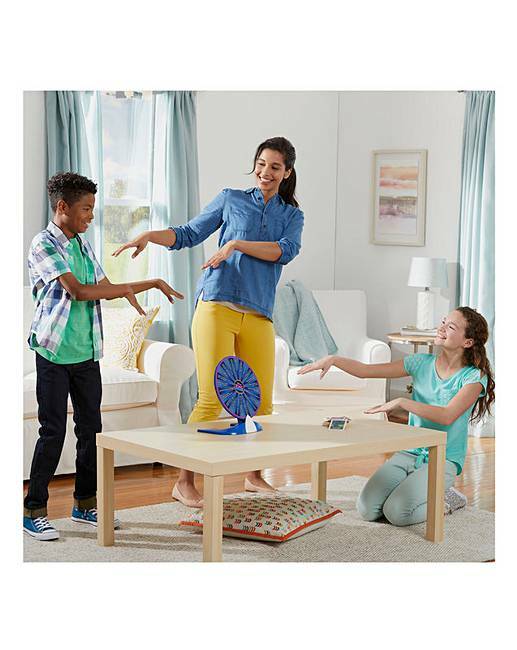 But if they mess up, then they have to spin the Wheel of Fun-sequences and attempt to do whatever the arrow points to on the wheel. 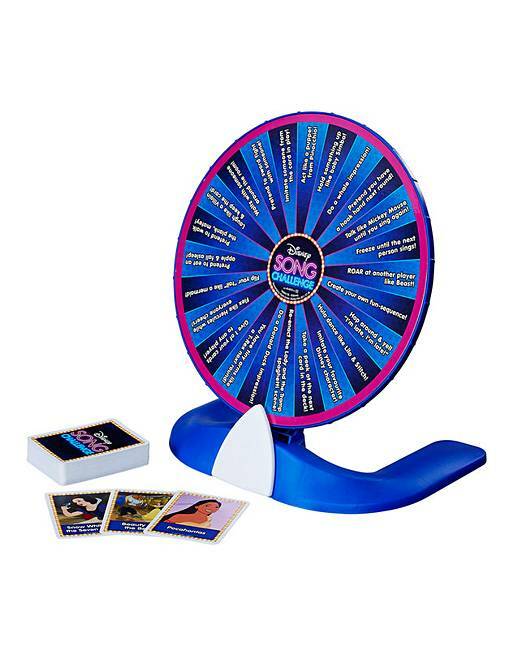 If a player fumbles when singing a Disney song, the Wheel of Fun-Sequences presents actions for players to do, and they're all related to Disney movies and shows. It might land on a command to "Pretend to walk the plank, matey", or "Roar at another player like Beast", or "Do a Donald Duck impression". It might even land on "Create your own fun-sequence", letting the players make up their own wacky fun-sequences. Remember and re-enact favourite moments from Disney movies and TV shows. Who remembers special moments from The Lion King, Peter Pan and Finding Dory? 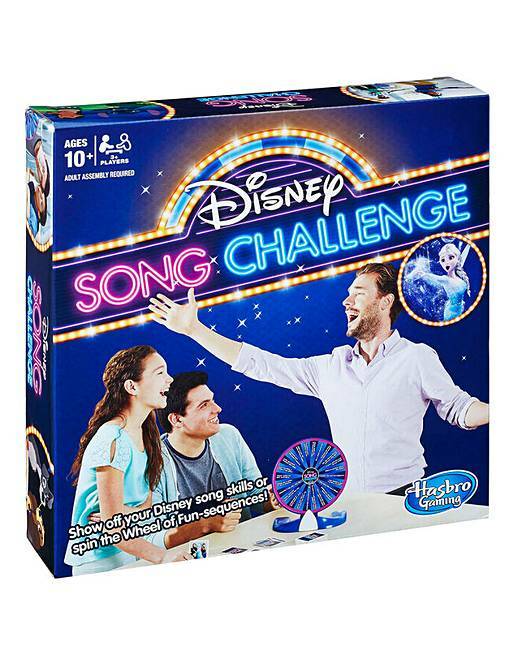 Even if players don't think they can sing, they can have a blast with this Disney Song Challenge game. Turn over a card and see which Disney title is revealed, then be the first one to belt out a song from that movie or TV show. 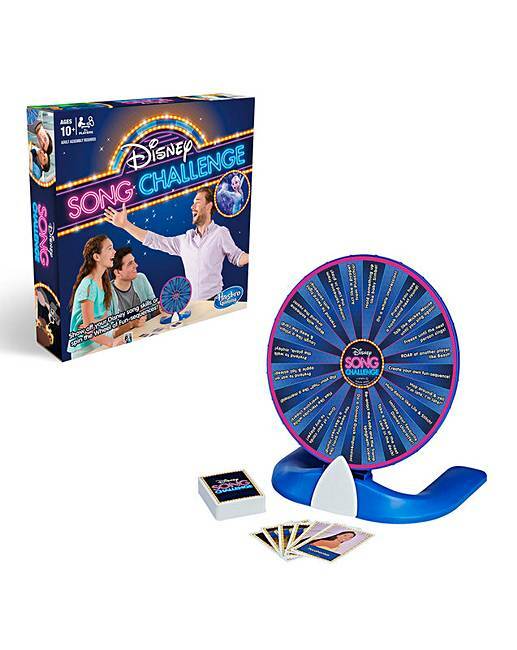 When players mess up a song, the Wheel of Fun-sequences gives them a fun Disney action to perform, such as pretending to eat an apple like Snow White, doing a whale impression, or even re-enacting the spaghetti scene from Lady and the Tramp.